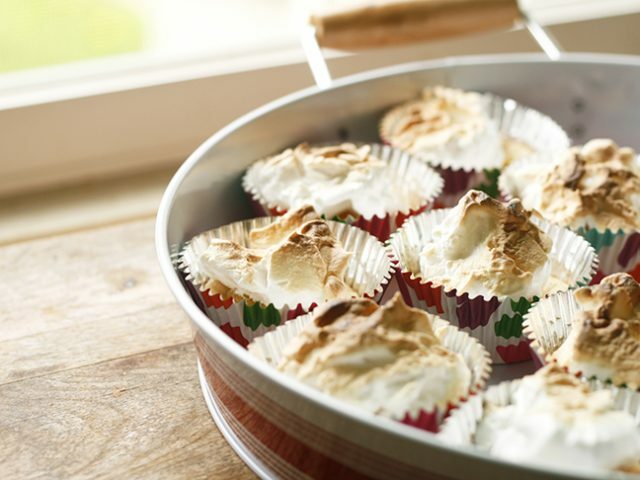 The sweet-tart combination is a favourite in my house, so my family loves these lemon meringue cookie cups. Tart lemon curd, sweet sugar cookies and airy meringue are layered to make these delicious treats. And here’s the thing: In addition to being mouthwatering, this 4-ingredient dessert is so simple to whip up. This is a dessert worth sharing– and making again and again! 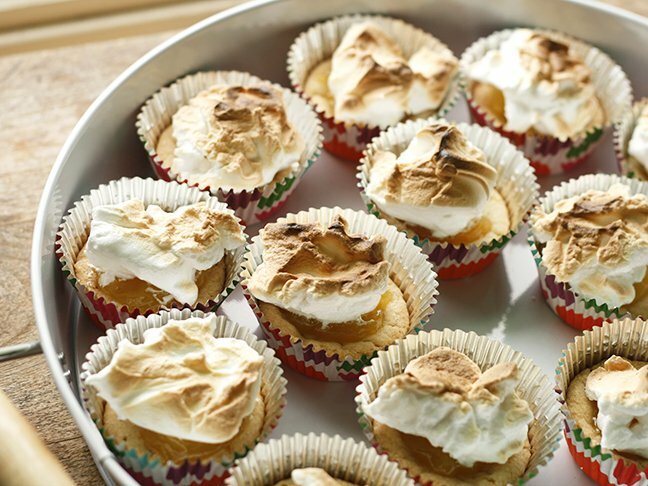 Want to whip up a batch of Lemon Meringue Cookie Cups? Here’s how to do it, step by step. 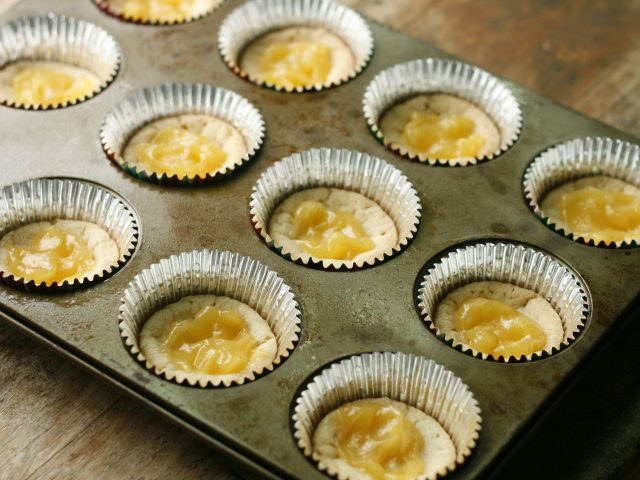 Step 1: Line muffin cups (standard size) with muffin liners. Put one break and bake cookie square in each. Bake for 13-15 minutes, until cooked through. Let cool for 20-30 minutes. The centers will fall as they cool. Step 2: Spread a dollop of lemon curd in the center of each cookie - about 1 teaspoon. Step 4: In the bowl of a stand mixer fitted with the whisk attachment, whisk the egg white until frothy on medium speed. Continue mixing as you add the sugar, 1 tablespoon at a time. And keep whisking even longer, until stiff peaks form. Step 5: Top each cookie cup with meringue, using the spoon to create peaks. Step 6: Grill for just a few minutes until the peaks brown. Remove from the oven and let cool completely before serving.